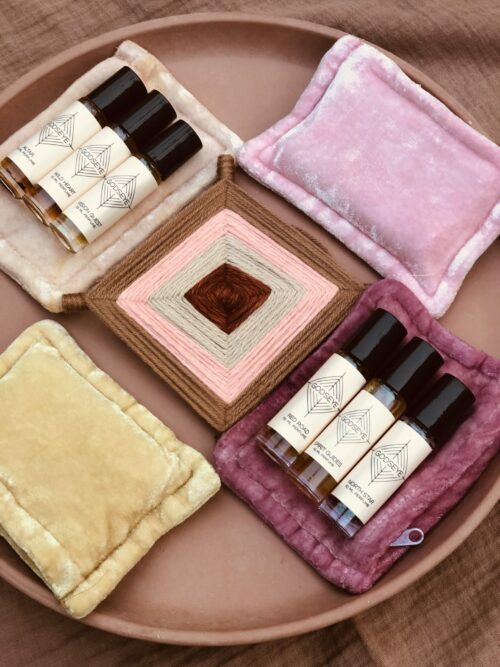 3 – 10ml Fragrance Oils of your choice in a sweet Jalama Dyes Velvet Spell Bag*. 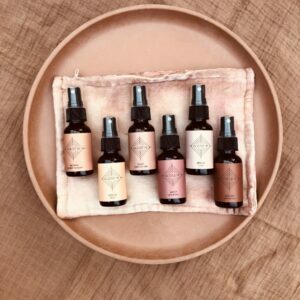 Leave your 3 Fragrance Oil choices in the Notes Section at checkout. Bags are dyed with hand harvested plants grown wild in California Curly Dock (Gold) Oak (Grey), and Cochineal (Pinks). 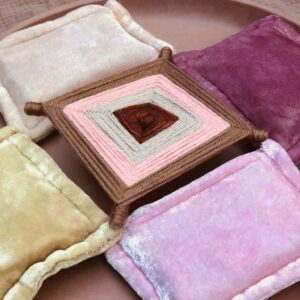 *Limited Quantity and natural colors vary. If you have a preferred bag color add it in the notes at checkout. I can’t guarantee the color you want will be in stock. All of the colors are stunning.